3 Option #2: Full DNS setup. Cached content: By caching web site content, CloudFlare helps improve page load speeds, reduce bandwidth usage, and reduce CPU usage on the server. High availability: With a redundant network of servers worldwide, if a server experiences an issue, CloudFlare’s CDN simply “fails over” to use another server. Increased security: CloudFlare helps improve security by blocking threats before they even reach a site. CloudFlare’s CDN can also provide some protection against Distributed Denial of Service (DDoS) attacks. 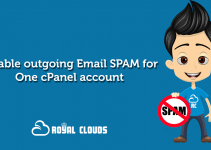 All SSD Shared hosting customers at Royal Clouds automatically get access to a free CloudFlare account. CloudFlare’s CDN also blocks threats and limits abusive bots before they reach your server. This helps increase security and reduce wasted bandwidth. Type an e-mail address and password. Review the Terms of Service, and then select the check box if you agree. Click Create Account to continue. A brief introductory video appears while DNS for the domain is analyzed. When the video and analysis is complete, click Continue. DNS analysis results appear on the next page. The settings shown are not important since this method does not use them. Click Continue. The next page displays nameservers to use for your domain. At this point you can close the Cloudflare window. 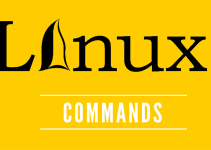 There is no need to update nameservers when using the Partial (CNAME) setup. 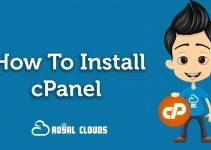 Return the the cPanel main page by clicking the logo at the top left of the page. 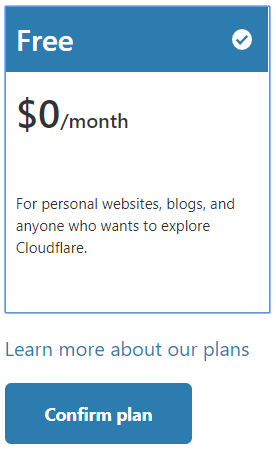 Return to the Cloudflare page by ckicking on the Cloudflare icon. Click the Domains icon in the toolbar on the Cloudflare page. The domain added in step 5 above should be listed. Scroll to the bottom of the page and click the Remove domain from Cloudflare button. The page will refresh after a moment. Now the Partial (CNAME) setup can be chosen by clicking the Provision Domain with CNAME Setup button. You also receive an e-mail message from CloudFlare that contains important information about your account. Option #2: Full DNS setup. Follow step one through six from Option #1. After clicking Continue in step 6 above, DNS analysis results appear on the next page. Review the DNS settings to make sure thay are correct. Make any necessary changes and then click Continue.. The next page displays nameservers to use for your domain. Make a note of the nameservers. Use the control panel at the domain’s registrar to change the nameservers to those provided by Cloudflare. Cloudflare will be active once the nameserver changes have propagated – typically 24 hours or less. When you use Full DNS setup only some settings can be managed from cPanel. 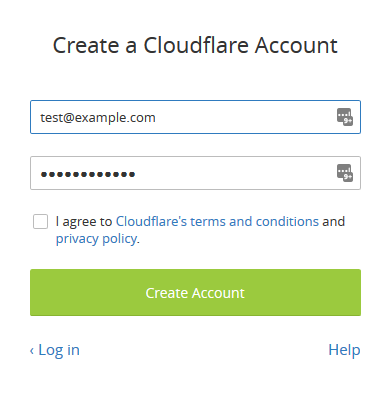 Use the CloudFlare site instead to manage all CloudFlare settings for your account. For information about how to do this, please visit https://support.cloudflare.com. For general information about CloudFlare, please visit https://www.cloudflare.com.